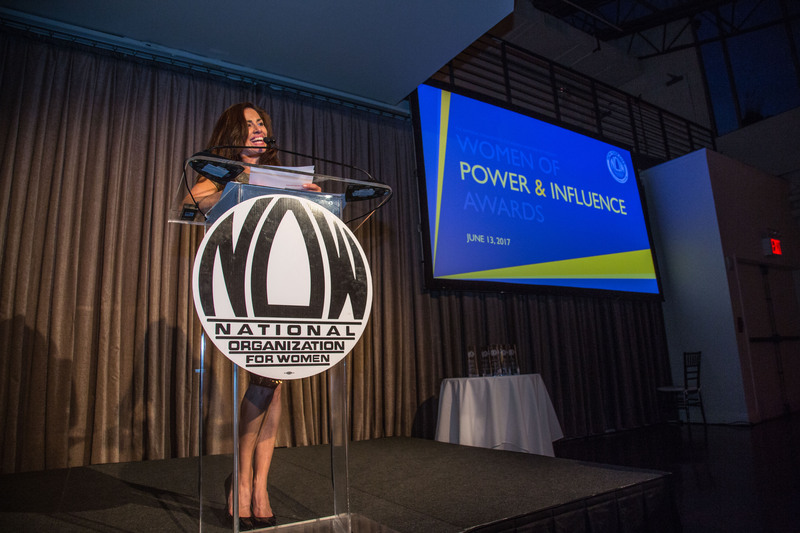 The 2017 Women of Power and Influence Awards benefit gala was held on June 13th on the Tribeca Rooftop by the National Organization for Women in New York City (NOW-NYC), which honored exemplary women who have boldly forged their way to the top of their industries, breaking barriers along the way, and earning the title of pioneer and role model. Each year, NOW-NYC gathers to celebrate these extraordinary women working in business, finance, entrepreneurship, technology, law, and government. All of the honorees share a commitment to advancing women’s opportunities so that women can collectively advance professionally, economically, and socially. This year’s honorees included six women in various fields. The honorees were Michelle H. Browdy, Leslie Dukker Doty, Michelle McCloskey, Davia Temin, and Marinela Tudoran. These five women are at top positions in their fields, working at companies such as Credit Suisse, Time Inc., BlackRock, and IBM. There positions consist of titles like Senior Vice President, President, Senior Managing Director, and CEO. The event also marked the premiere of the “POWER BAG”, a hand-painted luxury leather tote created by artist and The Untitled Magazine‘s editor-in-chief, Indira Cesarine, in collaboration with designer Rachel McCollum of MCCLLM, which was exhibited and auctioned off at the event. The hand-painted white leather double-sided tote has a bold “FEMINIST” statement on one side of the bag, and an empowering black and white portrait of a woman who encapsulates strength, sensitivity, and intelligence on the other side. MCCLLM designs high-quality, elegant, and functional handbags that are handcrafted in Italy. Artist of the bag, Indira Cesarine, is an entrepreneur, feminist activist, and multimedia artist who works with photography, video, painting, printmaking, and sculpture. Her work as an artist has been featured at galleries, festivals, and museums internationally, including The Metropolitan Museum of Art, Getty Images Gallery, Museum of Contemporary Art San Diego, Art Basel Miami, and Cannes Film Festival, to name a few. The first edition of the unique work of wearable art was donated to the fundraiser and the limited edition bag is now available by custom order through MCCLLM. 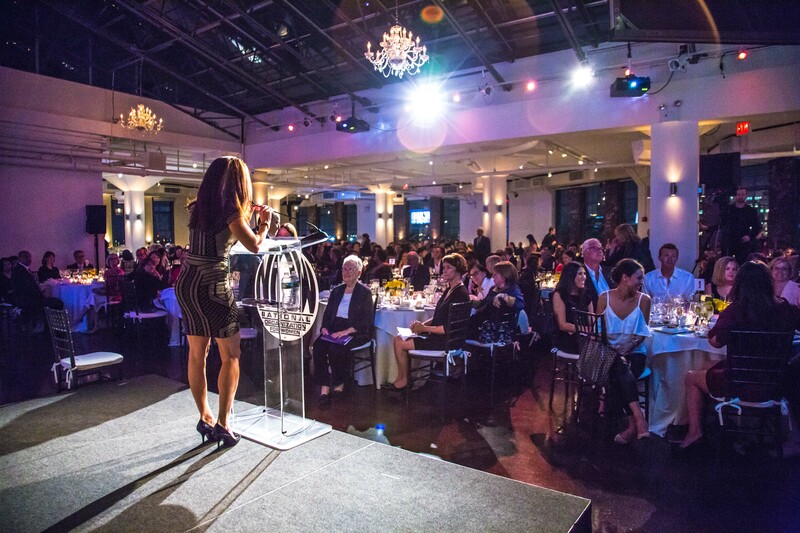 Proceeds from the benefit gala support NOW-NYC and Women’s Justice NOW in the critical work of advocating for and improving the lives of New York women and girls.